Sometimes our dogs deserve a little bit extra pampering, so, if you think your pet needs something a little bit special then why not spoil him or her with one of our new treatments specially tailored for animals with no harsh chemicals and using natural ingredients. 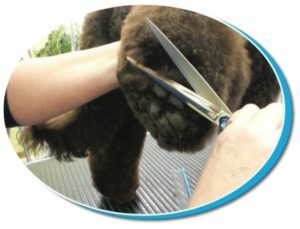 Our goal is to listen closely to the customer needs and to recreate their ideal trim. At no point will we put an animals well being at risk, but we will always seek customer authorization before we take any drastic action. Although we prepare many dogs for the show ring our main clientele are pet dogs. We love to be able to style dogs that might not want the normal trim for the breed and triming. 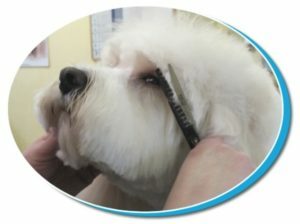 Crossbreeds allows us to really become creative so as to highlight your dogs best features.